Claims: no claims but the headline is "inspired by looking sultry and sensual for a night out with your love or your friends." 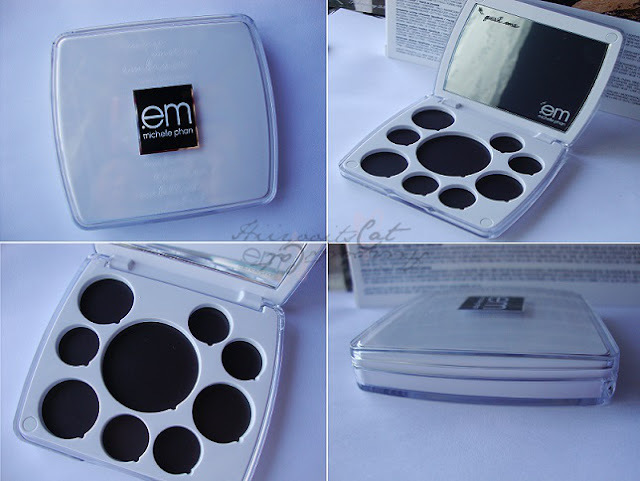 em Cosmetics is Michelle Phan's new makeup line that was 2 years in the making with L'oreal! Congrats Michelle! You can tell that a lot of thought went into the packaging of the product itself and the outside packaging. My palette was securely packaged in a box wrapped in pink tissue paper and bubble wrap on the bottom of the box and on top. I went ahead and chose the night life palette because I didn't see many people review or swatch it and was curious. It also seemed like the colors were perfect for me, the shades are certainly my cup of tea. There are 4 separate quadrants in the palette and each one has their own name. The packaging of the palette is plastic but nothing flimsy. Everything feels heavy duty.. speaking of heavy this palette is a bit on the heavy side. It also has a magnetic closure which I think is a great choice because some palettes are hard to open and I always end up denting my nail polish. Inspirational words that begin with em are engraved under the lid of the palette. You can find the labels for each quadrant and pans on the back of the palette. I personally think the sticker label could be a little bit bigger. The dual-ended brush is actually soft and useable. I keep it in the make-up bag I keep in my car for touch ups instead of in the palette. The pointed stick is for removing the pans from the palette if you wanted to move them around or put in a separate palette. You need to be careful with it or else you might just chip your shadows. All swatches were taken with my fingers and no primer. 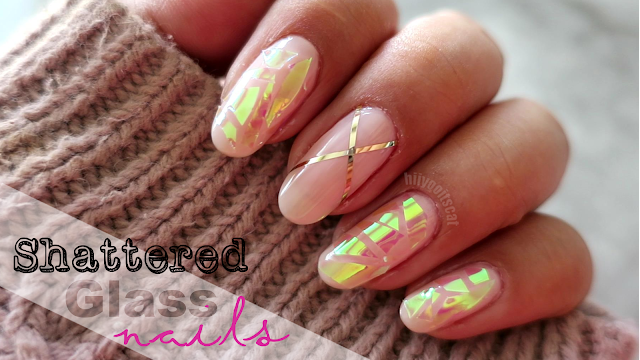 City Glitz is the perfect name for this look out of the palette because of the silver shades. The shadows in this palette have metallic and frosty finishes. 'Pinch' has a beautiful satin finish that gives off a beautiful sheen to the cheeks. MAC dupes (not exact but quite similar): Original Sin|Carbon, Street Lights|Waft, Twinkle Twinkle (a little warmer)|phloof. Poppin bottles, street lights and uptown are my favorites out of this look. First Date is certainly the most pigmented out of all 4 looks in the palette. It also seems to have the most fall out as well. More specifically 'get ready and mini skirt" has the most fall out. All the eye-shadows have a frost finish to them and the blush is matte. Dirty martini, mini skirt and get ready contain micro glitters. First date, dirty martini, dance.kiss.love and get ready are my favorites out of this look. Happy Hour is the most colorful out of the looks. Although this look contains the most colorful looks, it is nothing too crazy. The purples are certainly very wearable. Wink wink pink is a pigmented dolly pink blush that contains small sliver shimmer/glitters. It is a bit too pigmented in my opinion but with a light hand and blending it is also very wearable. MAC dupes (not exact but quite similar): Midnight|Black Tied, Private Party|Sketch, Purple Cocktail|Satellite Dreams. My favorites out of this look are cheersies, 5 to 7 and time's up. Dinner at Eight seems to be very neutral. The blush candlelit is more of a highlighter but nothing shimmery just a very nice sheen. Eight o'clock is a black shadow with blue micro glitters. The shadows in this look have a satin or frosty finish to them. Travel palette and a quick how to remove the pans. Don't worry about moving the pans around or taking them out the labels are imprinted on the bottom of the pans. The travel palette has a great mirror. You can see your whole face in the mirror and you can see everything clearly. The travel palette like the life palette, also has some weight to it as well as a magnetic closure. Instead of a clear lid like the life palette this travel palette has white plastic packaging all around covered in clear plastic packaging. I do find that it comes in handy because I can put in my favorites and take it on the go or just have it for convenience, instead of taking out the whole palette I can take out this little thing. I really enjoy the colors in this palette. The night life palette was the perfect choice for me. The shadows are silky, vibrant and pigmented. I do like the design of the palette and the quadrants but I am not a fan of the various sizes of the products. For instance some of the shadows that I really like are in the smaller pans versus the bigger one. It would be nicer if they were all a decent size. I am also not a fan of the lip products next to the darker shadows because the darker shades seem to have the most fall out, which can get into the lip products. Other than those issues the shadows go on nicely and last until I wipe them off. The palette over all is not worth $75 but if you can use a promo code or discount like I did I say go for it and try it out. I did not pay $75 for this palette and I would not pay that much for this palette, it is way too expensive and no I did not get it for free. I purchased this palette mid October as one of the many birthday presents to myself. At the time I was able to use 1 promo code and they had $10 off with no code required (1 for $20 off life palette and $10 off entire purchase) making the palette only $45! with tax I believe it was about $49 and free shipping. So I don't think it's that bad.. if you think about it the naked palettes are $50 and these life palettes have more variety. With the holidays coming up I am sure they will have more promotional codes and deals soon. So let's hear it readers, what do you think of Michelle Phan's make-up line? Specifically the life palettes, have you given in and bought one? or will you be getting one after reading this review? Stay tuned for my review on the 'ros gold water liner' as well as the 'chiaroscuro highlighter/bronzer in light' also by EM Cosmetics. I have a MMU post using this palette here. I honestly haven't heard many good things about this palette. The quality doesn't seem good enough for the price. I haven't personally tested them though, so I could be wrong. ahh ya I heard a few things about the life palettes in general. I was very surprised at the quality and outcome of the shadows. There is a lot of fall out but the pigmentation is good. I do have to agree that the price is just too much for any palette in general. Beautiful palette and the eyeshadows are so pigmented but it is a little expensive. It is really pretty! Ihave been using it almost everyday. Ya the price is the problem, hopefully they will knock down the price in the near future. HI! well as I recently purchased myself the night life palette i was exactly like you, looking throughout the internet a good review with swatches of the entire palette. thank good i found yours. just let me tell you your swatches are great! keep doing this kind of reviews they are very handy! by the way, i´m from mexico :) ajjaja, so you are internationaly watched ajajja i think is such a good notice :))). thanks and have luck! how long does the eyeshadow wear? Is it comparable to any other brands like urban decay or benefit? I actually don't use my UD shadows or benefit shadows that much but the eyeshadow does wear for about 5-6 hours with a good primer. Lasts just as long as my mac ones. THe lip products don't last that long (especially if you drink or eat) and the blush lasts for about 2-3 hours before it fades. I hope that was helpful.